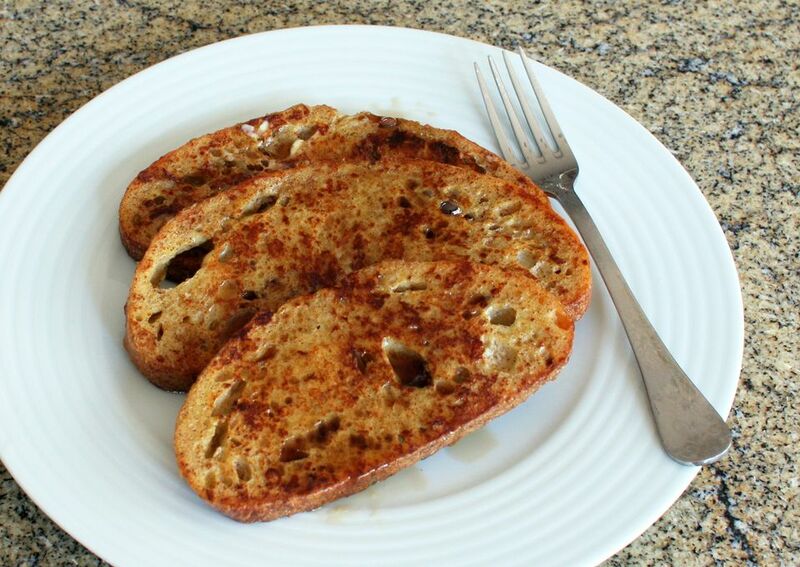 This easy French toast recipe is a little lighter than most, made with 2 eggs whites and only 1 whole egg. A little vanilla, cinnamon and a dash of nutmeg add a depth of flavor to this tasty breakfast or brunch entree. Have warming drawer heated or heat oven to 200°. Heat butter in heavy skillet over medium-low heat. Dip 4 slices of bread in the egg mixture, turning to coat thoroughly. Let excess drip back into the bowl. Place the coated bread slices on a hot griddle or skillet. Cook, turning until both sides are nicely browned, about 2 minutes each side. Transfer to a warm plate and keep warm in oven or warming drawer. Repeat with remaining bread and egg mixture. Sprinkle with cinnamon sugar, if desired. Serve with maple syrup.